It's okay, I will express my creativity through my writing. Anyway, ready to highlight the grueling cutthroat world of professional dancing this time, the fifth installment of the Step Up series reunited stars from its past four movies, mainly Sean Asa (Ryan Guzman) from Step Up Revolution, Andie West (Briana Evigan) and Moose (Adam G. Sevani) from Step Up: The Streets and of course, Vladd (Madd Chadd) from Step Up 3D. As a fan of dance and of the movies, I just had to catch the movie premiere of Step Up: All In. After Sean and the Miami crew, the Mob disbands, Sean continues to stay in L.A and when he hears about an upcoming dance competition in Las Vegas called the Vortex, he realizes that this could be the chance he needs to make it big in the dance world. With the help of Moose, he forms a team of stellar dancers ready to take on his former crew. Bring back Jon M. Chu! While the familiar faces of its previous stars was a welcoming change (as it meant that fans didn't need to refamiliarize themselves with the characters), the dance routines doesn't make up for the weak storyline this time. My friends and I found the overall routines lacking the excitement and hype the third Step Up movie had. Sure the moves were snappy and uber cool but the overall video shoot effect and transitions could have been better. I mean, the winning move which was already given away in the trailer was a mere toss, flip and catch. Nothing special. As for the characters, I found Andie and Moose to be the voice of reason for the whole team and especially to Sean. I could have liked more internal rivalry between Andie and Sean over the captain role just to justify their connection and attraction to each other but it seemed as though Andie merely stepped back to allow him to take the spotlight. Quite frankly, Sean was borderline whiny and vindictive. Again, I fail to see why he was unofficial leader of LMNTRIX and previously, the Mob. Andie as a character has grown from a street dancer to one who knows her priorities in life. And man, has she buff up! She has abs I would kill for and she is not afraid to show them off. There was also something very Nora in her epic fire dance scene too. There wasn't enough Moose moments this time although any scene with him and Camille was just so endearing. 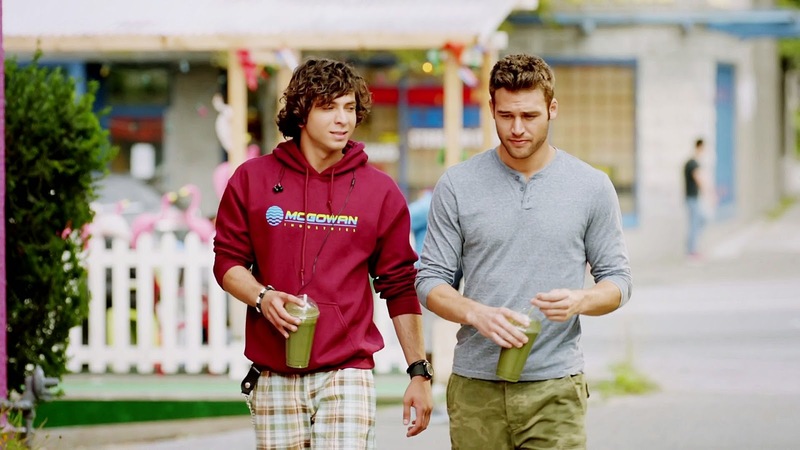 If there was one Step Up couple that should never be separated, it would be Moose and Camille. Polish actress, Izabella Miko was a showstealer though. 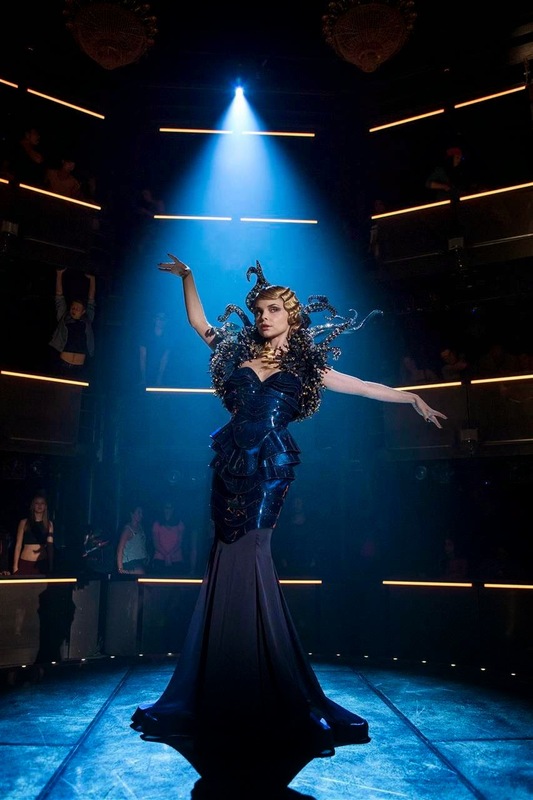 With her Lady Gaga crazed clothes, her character, singer and dramatic hostress of the Vortex, Alexa Brava seems to be inspired by Elizabeth Bank's Effie Trinket from the Hunger Games. Her dresses, hair and make up was definitely an eye-catcher. Not in our local theaters due to the censorship. At least three vital scenes were omitted from the movie, leaving us confused and very annoyed. While the routines lacked the vibrancy of the previous movie, it wasn't too bad. It would still cause the sale of Converse sneakers to increase and send hordes of suddenly-inspired people to the nearest dance studios to them to pick up hip hop. Just don't try that last move in the movie. Landing face first on the ground would not be pretty. Now where are my sneakers? 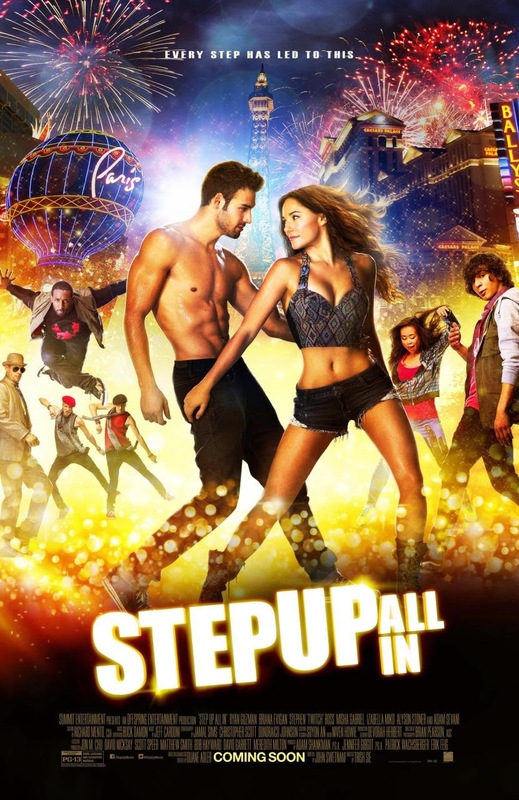 Step Up: All In is out in cinemas 31 July 2014.